The objective of this survey is to gain an understanding of the biggest issues affecting participants in their daily lives and also to learn about their relationships with and opinion of patient groups. Information gathered from this survey will be used in the development of EFNA’s future workplans, ensuring that they and their member organisations are working in the best interests of those they represent. Please help disseminate the survey by sharing it with your network – via email, newsletters and social media – and encourage others to do the same! 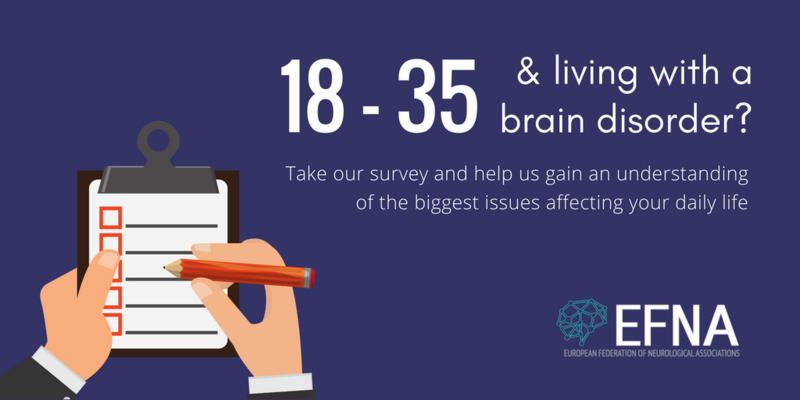 Findings from the survey will be published on World Brain Day 2018 (July 22nd) and will be used to raise awareness among the public, health professionals and policy makers. The survey will remain open until May 21.